I could have posted a response to Carman's question yesterday as a Comment, but then many of you would never read it! And I want to give you some more poetry to think about, so I'm extending the conversation in today's posting. Have I read any good poet's lately? Oh Yes, indeed I have. I carry a little book of Robert Frost around with me in my car, for long lines or construction delays or while waiting for the ferry. I love Robert Frost. His poems are so well built they almost make me cry. He can talk about a hay field or a fence in a way that is so very simple and yet just so complex it makes me shiver. 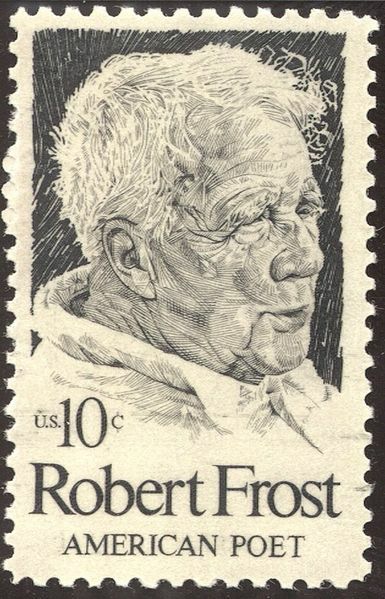 Robert Frost hated so-called free verse. He said it was the equivalent of playing tennis without a net! Another poet I also love, and who has the added attraction of still being alive is Billy Collins I've most recently been reading The Best American Poetry of 2006. The reason I picked 2006 is because it was edited by Billy Collins and I love the way he talks about poetry. So the Introduction is as wonderful as the whole rest of the book. If you are one who thinks poetry is boring, it could be that you've been reading what Collins describes as poems whose opening lines make me feel I have walked in on the middle of a Swedish movie being run backward with no subtitles. He'd be with you on that and would quickly reject such a poem. None of the seventy-five poems offered in this little text make you feel that way. They all make you want to do what Collins' own poem entitled Introduction to Poetry invites you to do. Here it is. Just have fun with it! 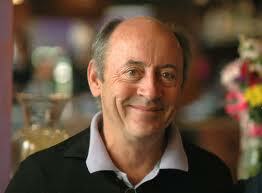 If you chance upon a book of Billy Collins' poems, be sure to pick it up. You'll find something in there to enjoy. Guaranteed!